Today was a fantastic day! 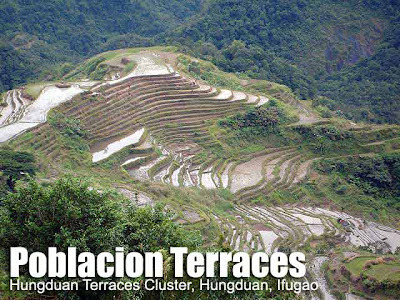 I finally visited one of the UNESCO-inscribed terraces, the Hapao and Poblacion clusters in Hungduan. 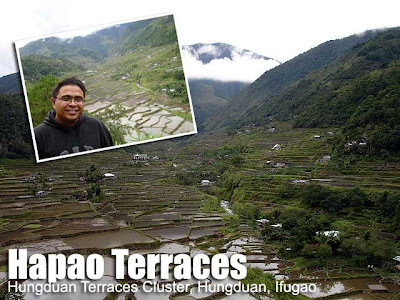 There are five all in Ifugao and the cluster in Banaue poblacion is not one of them! These five are Hungduan, Mayoyao, Nagacadan in Kiangan, and Batad & Bangaan in Banaue. It was a one and a half hour jeepney ride from the Banaue town proper to the Hapao Rice Terraces in Hungduan. Then from there, we motored to the Hungduan Rice Terraces in the Poblacion. We were welcomed by the mayor and other city officials. Lunch was served in front of the municipal hall. 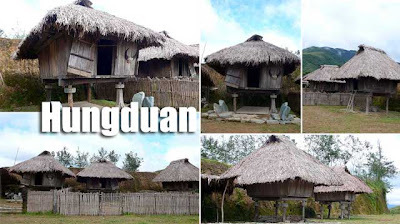 Around the area were examples of traditional Ifugao dwellings. 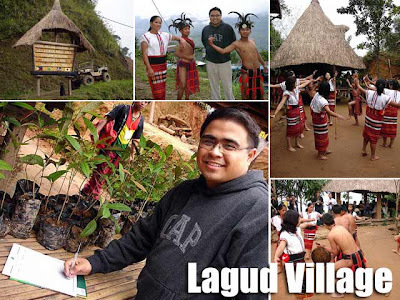 Before proceeding back to the hotel, we then passed by Lagud Village Learning Inn, a community-based tourism project where tourists can opt to stay in traditional Ifugao dwellings. In fact, there have been five Japanese exchange student living there for several mounths now, immersing with the community. We also donated P200 for kids to a plant tree in our name, part of reforestation and fund-raising efforts for the education of the young Ifugaos. We finally got back at 4 p.m. and I decided to take a power nap before our next appointment. Dinner was at a campsite in Banaue. Kudos to the Save the Ifugao Terraces Movement (SITMo) for organizing this great tour and for taking the lead in the preservation of the rice terraces. Florida Bus has a regular trip from Manila direct to Banaue. It leaves Sampaloc, Manila (Lacson St. cor. S. H. Loyola St.) at 10:45 p.m. Or you can take any bus that goes to Cagayan Valley and get off at Solano, Nueva Vizcaya where you can catch regular trips to Banaue and other towns in Ifugao. From Baguio, KMS Bus Lines and Ohayami Trans leave for Banaue at least twice daily. From Banaue, you can get transportation to Hungduan. Its sad that portions of the terraces are deteriorating. If the situation is not addressed, the terraces may not be appreciated by future generations. WOW! this is the look of Rice terraces pala.. how i wish i can go there! tsk tsk tsk..
What would you suggest, drive here via Baguio or via Nueva Vizcaya? Which one is easier to drive? Via Nueva Vizcaya is the best since the roads up to Banaue via that route are paved. But from Banaue to Hungduan, roads get bad so you need a 4x4 for that. Hello! I was going to write about Spain in my own travel blog when I got to your entry while looking for resources. I ended up spending most of my time reading your entries rather than writing my own Ü And! 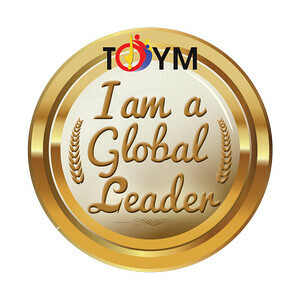 Instead of writing a travel entry, I wrote about your blog instead. I hope you don't mind. Thanks! Hope you enjoy Spain, and I can't wait to read more. definitely worth the long bus ride from manila! 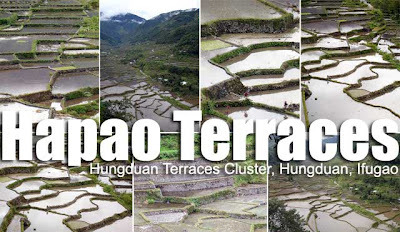 the Batad amphitheatre rice terraces is my favorite but i especially love the Hungduan rice terraces 'coz i had lunch (adobong native na manok with brown rice) with the world-class woodcarvers of Hapao who live next to the hungduan viewpoint. Banaue rice terraces is worth a visit too! i just hope the government can do something to preserve it for the next generation to enjoy. I'll be posting my trip to Mayoyao within the week. We also passed by Bangaan on the way to Banaue. This is more interesting than mayoyao. I have been to mayoyao not interesting at all. The rice terraces in hungduan are almost perfect.